T he main character in "Found Again", Hilda, remembers a number of past lives, one of these is as a young Amazigh woman in Morocco centuries ago. 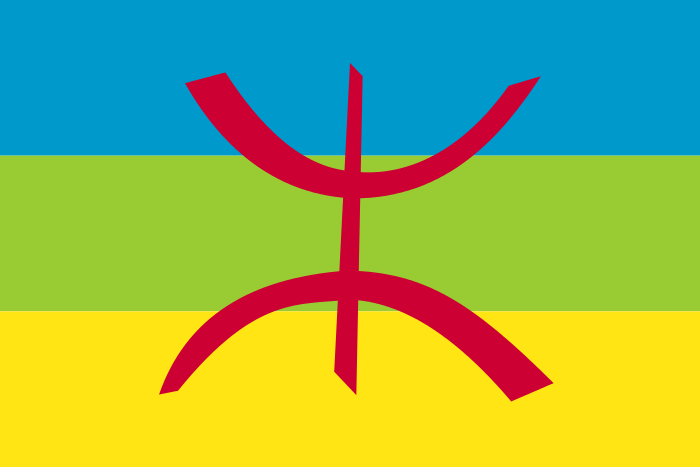 The Amazigh are the non-Arab, indigenous people of much of North Africa. 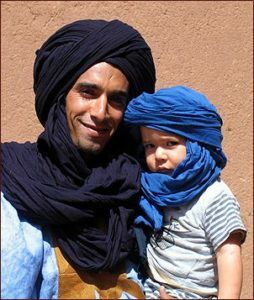 They are often referred to as the Berbers, which is a name given by the Romans, meaning much the same as Barbarians, and not a name you should use if you befriend an Amazigh. Traces of the Amazigh people goes back more than 10,000 years. The name means "free men" and they were initially mixed with the Phoenicians who traded with them. Later they were conquered by the Romans, subjugated over centuries by the Arabs, and more recently ruled by the Europeans. 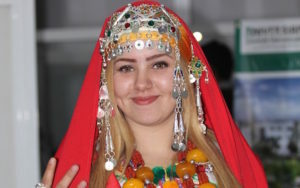 The Amazigh actually look very European with blonde and red hair and blues being very common amongst them. Their language is also quite unique and that with their features has linked them to the Basques of northern Spain, Bretons of Brittany and even the Celts including the Helvetics of modern day Switzerland. These links are suggested by some to originate from the lost land of Atlantis. 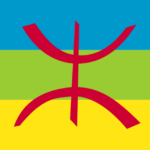 So are the Amazigh descendants from the sunken island? letter from their alphabet symbolising a free man. 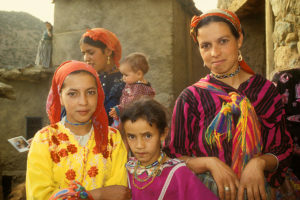 The Amazigh in "Found Again"
In "Found Again" Hilda meets a few Amazigh girls who invite her to a "Berber Dance." The word "Berber is used to identify them, even they themselves use it, but they will be quick to correct you if you insist on calling them Berber that they are Amazigh. Hilda also has dreams and remembers a life as an Amazigh girl in an age where Arabs suppressed the Amazigh people. Today you can be assured that the paler North Africans are most likely Amazigh and not Arab in origin. So when you visit Morocco watch out for the blonde and red-headed locals. Uuh no Kim Johansson we are white. I'm white and I'm a 100% Berber. Please Kim don't talk about a group of people if you are not them. The person who wrote this is 100% right. And I wanna thank you for the extra information about my people! Because your 100% right. Thanks Mira, I've not been there but I did my research. Thanks for commenting.